I have stupidly left this review far too long after reading the book and therefore this review is going to have to be short not because I didn't enjoy it but because my poor brain is so tired of late it can't remember all the things I was going to say. In short I really enjoyed this book. I loved it as much as book one and cannot wait to see where the series is going next. I love america as a character and love following her story. I love all the political stuff that lies behind the main story and the whys and wherefores of the world the book is set in. 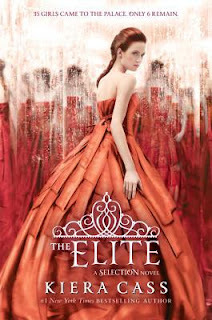 I do have to say I am totally as Team Maxon girly and I do want to shake America a little bit for not jumping on that bandwagon from the outset and am still desperately hoping that is where is ends up. All in all a fab sequel which I enjoyed thoroughly.